Colombo, Sri Lanka -- The crisis facing the Buddhist world is neither a decline in religious conviction nor an apprehension that truth underpinned by rational argument and new scientific discoveries will one day overtake and outstrip the core teachings of its founder which is a perennial fear bordering on despondency that characterizes several other competing religions, but the lack of an effective institutional mechanism that can lend support when a Buddhist institution, Buddhist community or even a pre-dominant Buddhist nation is in danger. We see the lack of substantial networks of support driving threatened Buddhist nations or Buddhist communities into a sense of despair and hopelessness at times of an emergency. Traditional Buddhist countries such as Thailand, Myanmar, Sri Lanka, Cambodia and Laos are now under severe pressure to distance themselves from extending state patronage to Buddhism and erase their Buddhist country identity and embrace a secular identity with no such pressure being applied to countries in other parts of the world such as the Middle East or the Catholic belt of Europe. Despite a 2500 year old history that makes Buddhism one of the oldest religions in the world, a worldwide presence that makes it a global religion, and a way of life grounded in wisdom and compassion that attracts the envy of other civilizations, Buddhism still retains its biggest constraint i.e. lack of effective protections. It is a historical fact that Buddhism has lost more territory and space in Asia, its traditional homeland, in the last one thousand years than any other religion. It is also a hard fact that this process is on going with no sign of abatement and no effective measures developed to counter it. Buddhism’s biggest appeal of being an eternally passive, non – confrontational, peace loving religion that lacks a central place to direct its affairs in the international arena unlike in the case of say the Vatican (sovereign state enjoying both temporal and spiritual power) or the World Council of Churches ( powerful and well – funded with influence reaching to four corners of the world) or the Organisation of Islamic Cooperation (promoting Muslim solidarity in economic, social, and political affairs), has become Buddhism’s Achilles' heel. Its organizational bases are relatively powerless when compared to the aforesaid entities. For example, the Organisation of Islamic Cooperation (OIC) is the second largest inter-governmental organization after the United Nations which has a membership of 57 states spread over four continents. The Organization is the collective voice of the Muslim world and committed to safeguard and protect the interests of the Muslim world. It has its headquarters in Saudi Arabia. The issue of rising challenges to Buddhism to the extent of undermining its very existence as the pre-dominant religion of a nation, hardly merits much attention in discussions of International Buddhist Organisations, International Buddhist Conferences, or among National Governments in countries with predominant Buddhist populations and corresponding state and constitutional obligations to protect and foster Buddhism. Traditional Buddhist countries now find themselves force fed with ideas that are foreign to Asia, that had been given birth primarily in a Western setting and related to the interplay of dynamics of European societies but are nevertheless required to be uncritically accepted and transplanted in Asian societies without due consideration being given to the social tensions that would be generated in transplanting such ideas. To de-link state patronage to Buddhism is one such pressure brought on by various religious interests that during the heyday of colonialism enjoyed exclusive patronage from colonial rulers. The solidarity that countries in Buddhist Asia showed towards each other in the distant past i.e. pre - colonial era, has greatly evaporated or become non – existent. The sense of kinship of being fellow travelers in a spiritual journey overarched by Buddhist precepts and bonded by common religious beliefs and foundations no longer act as a reference point to summon or render assistance even between Buddhist peoples based in neighbouring countries at times of need. Recent events, for example, attacks on Buddhist Temples in Bangladesh or the crisis in Myanmar hardly drew concerted attention or action in other Buddhist countries in the form of assisting our co – religionists facing an existential plight. Countries preserving Indian Civilizational religions e.g. Buddhism, Hinduism, Jainism etc. are seen as soft and easy targets for manipulation and religious conversion of their people, and in turn replacement of centuries old traditional culture with new cultures subservient to foreign interests. The resulting change in religious demography brings pressure on the State to disassociate itself with Buddhist values that underpin the stability of the society, legal framework and moral direction of the country. The mainstream Mass Media in the English language in pre-dominant Buddhist countries which act as the window to the world hardly makes any contribution towards creating any Buddhist public opinion or provide a voice reflecting Buddhist concerns. Instead it acts as a group largely hostile to the creation of any such Buddhist opinion and thereby sacrificing the interests of the wider majority of the country’s people. One hardly reads newspaper editorials in support of a Buddhist cause. Instead Buddhists find themselves repeatedly fed with a regular and steady diet of lectures on ‘human rights’, ‘rule of law’ ‘democracy’ non – violence’ ‘peace and reconciliation’ despite no such intransigence on their part at a major level. There appears to be a calculated move to place Buddhists, metaphorically speaking, in the ‘dock’, make Buddhists feel guilty of alleged crimes or misconduct and then extract more and more concessions totally out of proportion to what Buddhists enjoy as a religious minority in non – Buddhist countries. Reciprocity is the norm that governs diplomacy or grant of religious concessions. Buddhism hardly enjoys official status as a religion in Europe or in the Middle East. Freedom of religion is honoured in the breach when it comes to acceptance of Buddhism as an official religion in these parts of the world. In Europe only Russia and Austria recognize Buddhism as an official religion. The proponents of secularism in Sri Lanka like in India are those clearly bent on repudiating the civilisational ethos of this country. 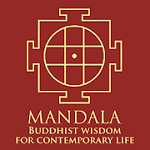 Their main objective is to marginalize Buddhism from the public - political and social – life. In the West we find that secularism had stood for rationalism, universalism and humanism. In Asia, secularism is being used as a smokescreen and a shield to push Indian civilizational religions such as Buddhism and Hinduism away from the centre stage and replace them with religions and ideologies that were introduced much later in time to these lands. In pre-colonial Sri Lanka there was never any conflict between the State and organized religion. It is essentially a European phenomenon. What we are now faced with is an increasing challenge to an ancient, indigenous Buddhist civilisation which is gentle, accommodative and pacifist by later introduced religious cultures that have a track record of intolerance and violence and close association with colonialism and a self-declared objective of world conquest. They use the language of human rights and freedom of religion but their goals are very much political and predatory. They support the country’s adversaries in the international arena to engage in the game of finger – pointing, naming and shaming our leaders and people. It is also a battle for the moral conscience of Sri Lanka which our people and rulers have worked so hard relentlessly to keep over many centuries as an expression of our indigenous religious beliefs and outlook. During the last five hundred years or so, since the beginning of the western colonial era, the governance and steering of the world was very much in the hands of powerful western nations using their mono religio- cultural framework as terms of reference in policy making and implementation of policy. That era is now drawing to a close. Sino – Indic civilizations will take over from euro-centric civilizations. The question is not whether but when. The old world will give rise to a new world and revert to Asia its traditional leadership role of the world. Buddhism is well - integrated and deep seated in both the Chinese and Indian cultures. To the Buddhists in Asia the challenge is to develop new structures and institutions that reflect current realities. It would be feasible for countries with pre-dominant Buddhist populations to consider developing closer ties with each other in the spheres of economic, cultural, and trade and investment. The Organisation of Islamic Cooperation (OIC) provides a role model for the Buddhist world to adopt and establish at summit level an equivalent body to give voice and make representations on behalf of the Buddhists. Buddhist heritage countries such as China, Japan, Korea, Thailand, Myanmar, Vietnam, Taiwan, Cambodia, Laos, Bhutan, Nepal, and Sri Lanka among others should engage in increasing close cooperation in international affairs and regularly meet like the European Union or the OIC in the form of a League of Buddhist Nations. Sri Lanka as a traditional Buddhist country with the longest continuing Buddhist history in the world is eminently well qualified to take an initiative in this direction. The Buddhist voice is relatively speaking largely unheard in the international arena. 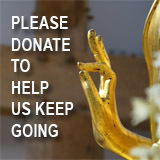 Buddhist nations which are embattled or threatened by more powerful vested interests have to rely on International news agencies or foreign Television Channels such as BBC, CNN or Al – Jazeera which have different policy objectives and are largely unsympathetic or sometimes even prejudiced towards the Buddhist cause, to air their position. This is an unsatisfactory situation. The time has come for the Buddhist world to seriously consider the inauguration of a Buddhist Television Channel on par with the aforesaid major TV Channels.